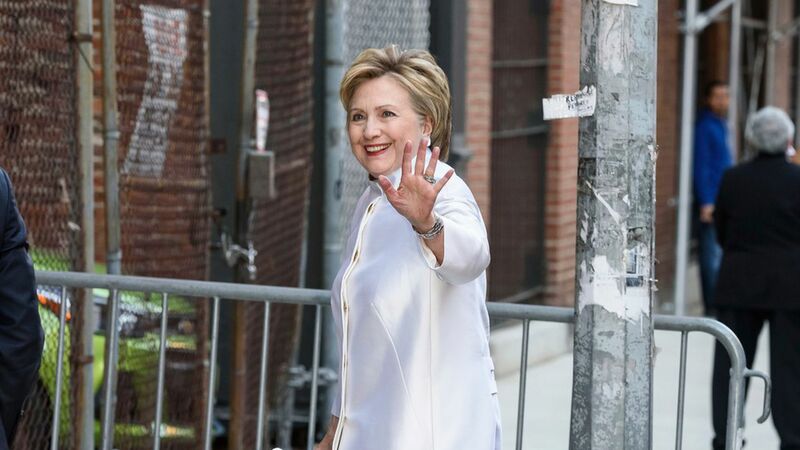 Hillary Clinton guests on Crooked Media's "Pod Save America," chatting with several of the aides who helped defeat her in 2008, as part the rollout for her new memoir, "What Happened," out Tuesday. She'll also appear on a podcast with Max Linsky, co-host of "With Her" during the campaign. First audio excerpts (aimed at driving pre-sales): "Morning Joe"
First public TV: "PBS NewsHour"
First event: Barnes & Noble in Union Square in New York, followed closely by Lissa Muscatine's Politics & Prose in D.C.
She'll also do C-SPAN and another late-night show. Those are the first few weeks. She'll continue doing events at least through Thanksgiving, when holiday book-buying begins.